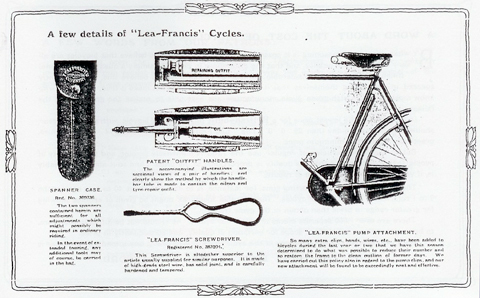 The Lea Francis is one of the most sought-after machines of the early 20th century. 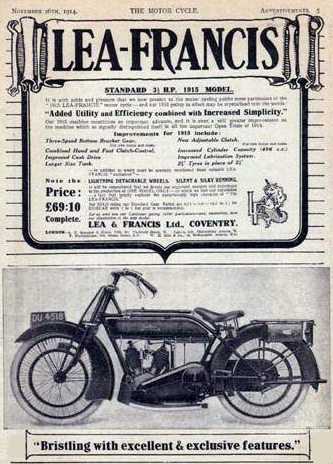 It was top-of-the-range in its day, even more upmarket than Sunbeam. A testament to its excellent build is that, despite 110 years of wear and tear, and after repairs that included a rear wheel rebuild and a replacement chain, it rides superbly. 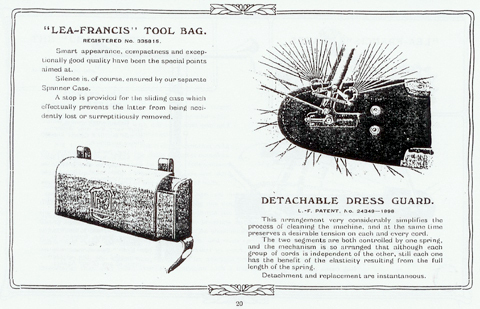 It was obviously well-used in its time. 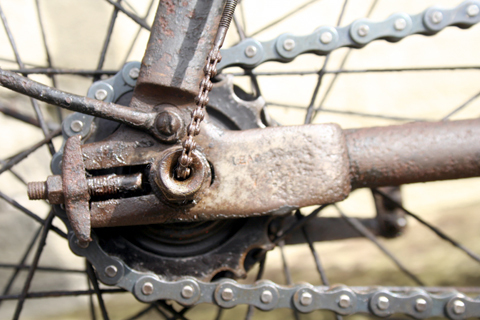 The old chain gradually wore away the sprocket. Now fitted with a new chain, it clunks a bit. It’s one of my favourite bikes. 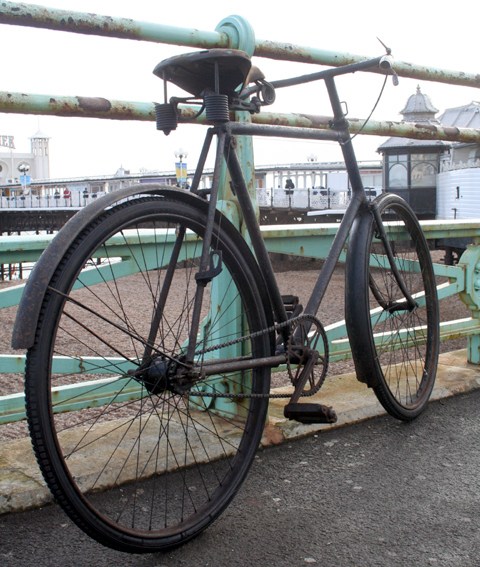 This was its first outing, down to Brighton Pier. ‘The devil is in the details’ as they say. 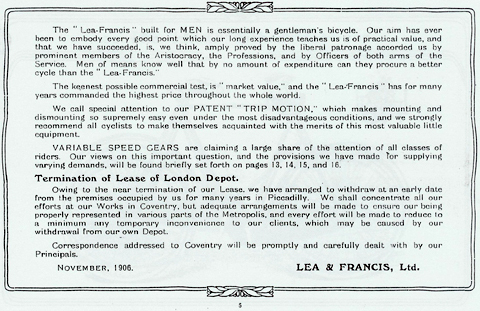 Richard Lea and Graham Francis had both worked at Singer and, in 1895, started their own bicycle factory in Coventry, soon becoming Lea & Francis Ltd. They exhibited their bicycles at the Stanley Show of that year. The company manager F.A. 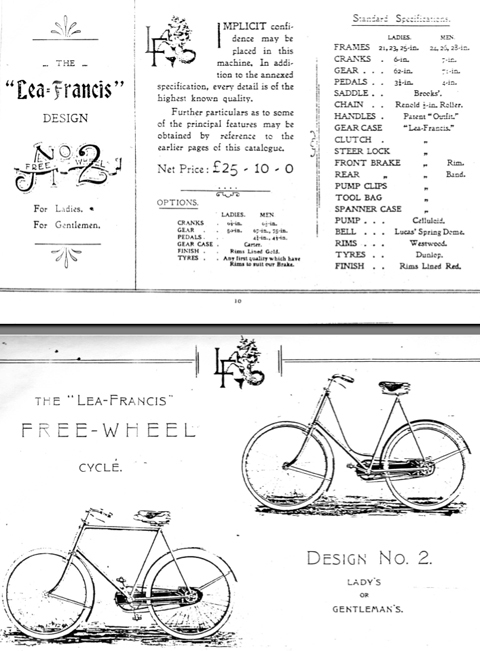 Griffin designed a 2-speed hub gear in 1905, and a 3-speed model in 1908, and these were fitted to Lea Francis bicycles. 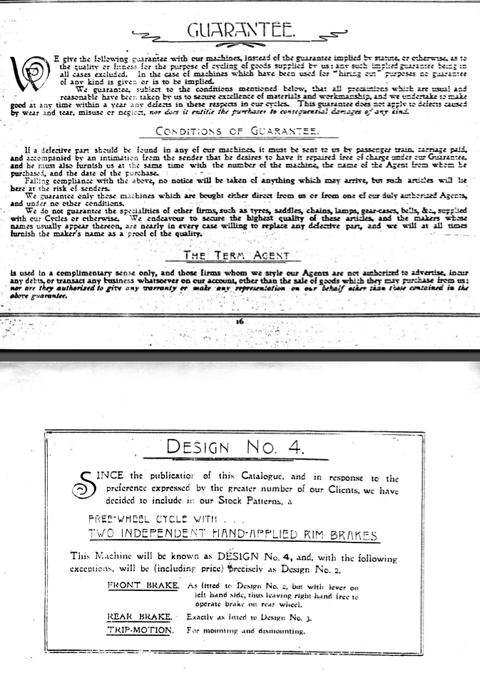 In 1903 a separate company was formed for car production. The 3.5-liter three-cylinder tourer was designed by Alexander Craig and it came with a very hefty price tag. 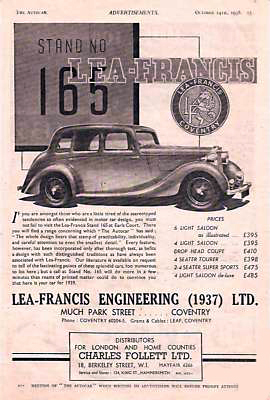 Only two cars were ever created and sold; the rights were subsequently sold to Singer, for whom Lea had once worked as an engineer. They built their first V-twin JAP-powered motorcycles in 1912. 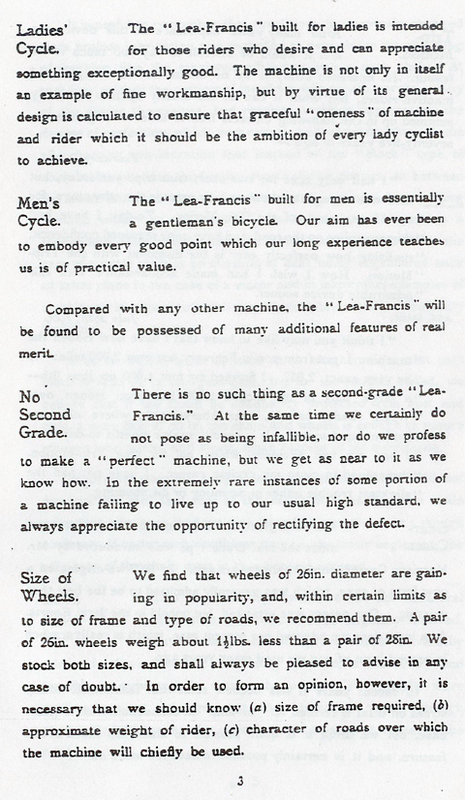 Bicycle production ended with World War 1, so they could focus on the motorized side of their business. 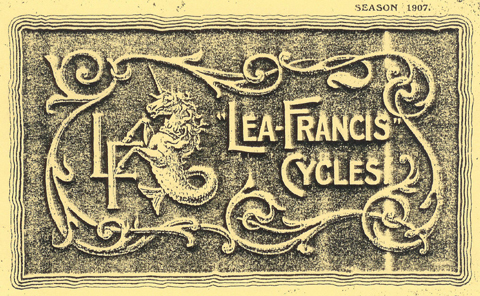 Lea Francis motorcycles, like the bicycles that preceded them, were quality machines. 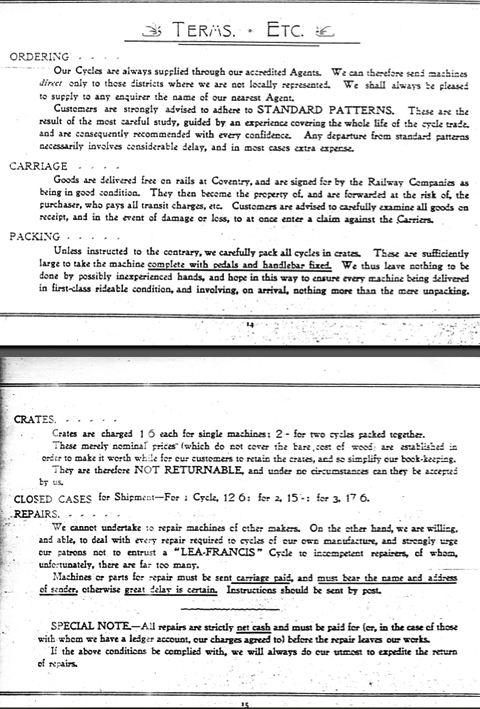 They were advanced in design, having quick-detachable wheels and enclosed chains. 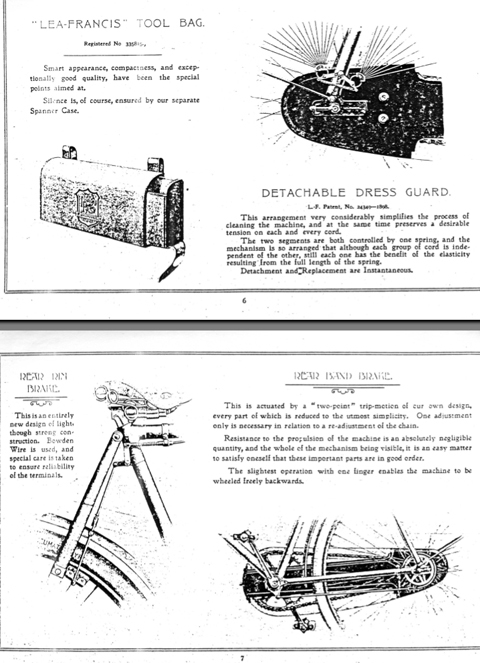 By 1921 they had added a MAG3.5hp and a JAP 5hp to the range. 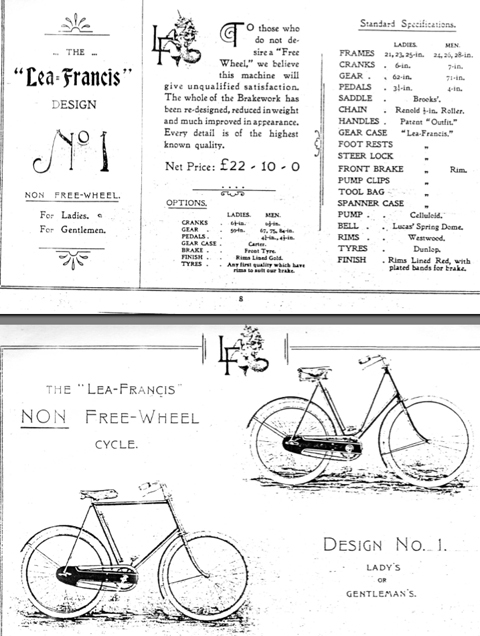 These were true gentleman’s machines built by a firm whose clientele included the likes of George Bernard Shaw. 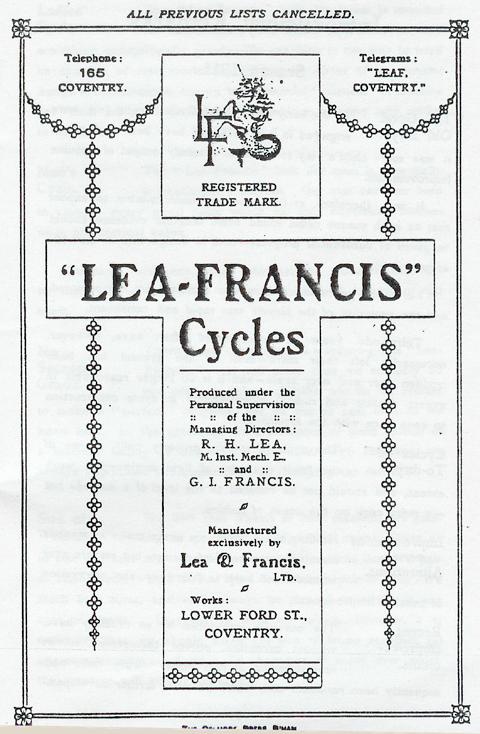 After 1924 Lea-Francis ceased motorcycle production in favour of cars, which they continued to build into the 1950s (though the company itself went through various incarnations during those years). 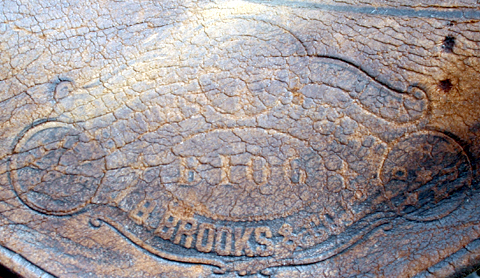 The saddle is a Brooks B100, which was also fitted to the first Indian motorcycles in America. 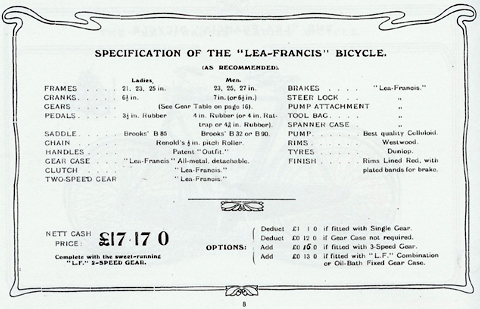 This Lea Francis is fitted with a Sturmey Archer Tricoaster 3-Speed hub. 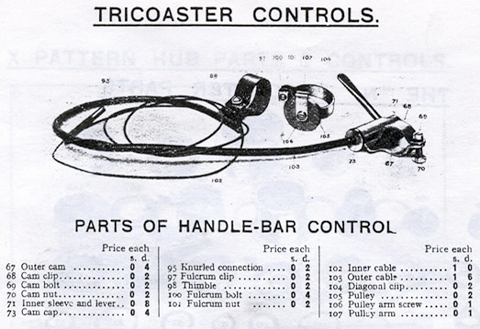 The hub has the serial number PN56233, which means it’s a Tricoaster Model N.
You can compare the close-up above with the catalogue below. 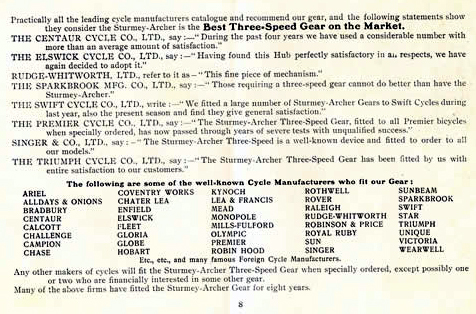 You may observe Lea & Francis below in the list of companies who fitted S-A gears as standard to their bikes. 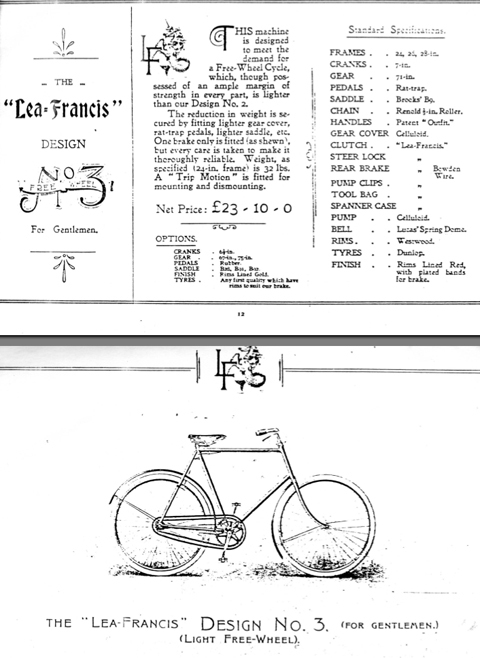 The Lea Francis frame number is located on the right-hand rear dropout. It is number 7251. 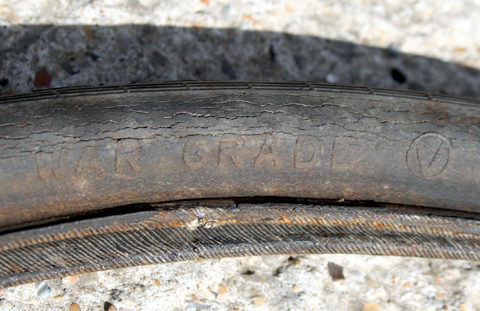 One of its ‘War-Grade’ tyres was useless, but the other still has good tread and only minor sidewall cracking. You can see the victory ‘V’ sign on the tyre. In old cycling and motorcycling magazines I’ve noticed several campaigns from tyre manufacturers to remind riders to keep their tyres inflated. This was particularly relevant during times of war. In 2009, for the first time, I’ve seen similar adverts. 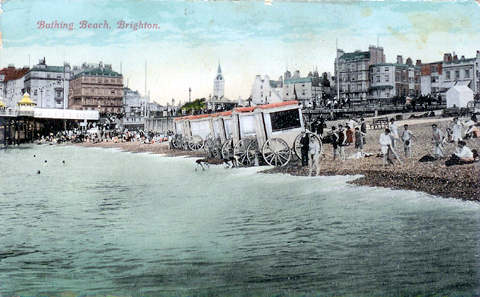 Compare the contemporary postcard, above, illustrating the same area, with the current view of Brighton pier, below. The main difference is the yellow roof in the postcard. The mystery is solved: it’s a hand-tinted postcard. The Palace Pier, as it was originally known, opened in 1899, only 2 years before this Lea Francis was built. It replaced the Royal Suspension Chain Pier, which was built in 1823 and destroyed in the big storm of 1896. The entrance kiosks of the original pier are actually still intact, now being used as council offices and small shops in the existing pier. 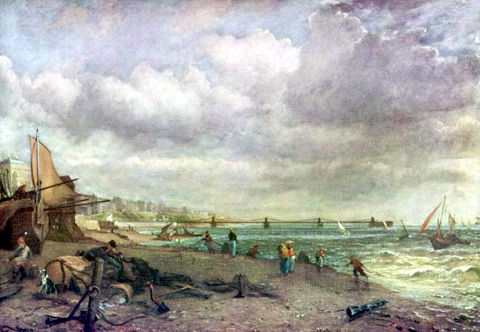 The Chain Pier is shown in the Constable painting below. This stereoview shows the Chain Pier too. The view of Palace Pier below is from 1905. 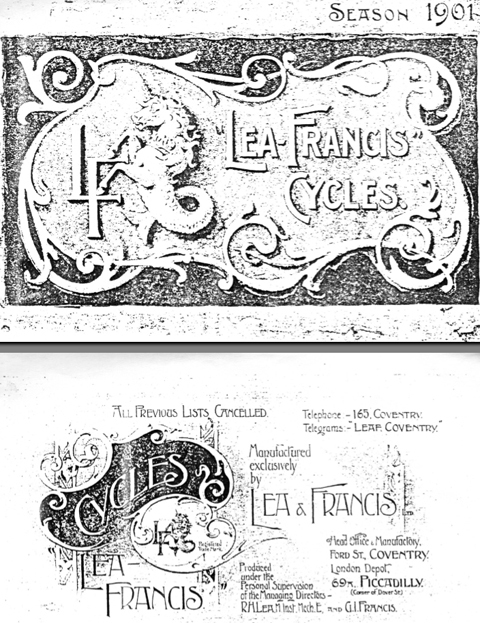 There are a few differences between my 1901 model and the 1907 version. 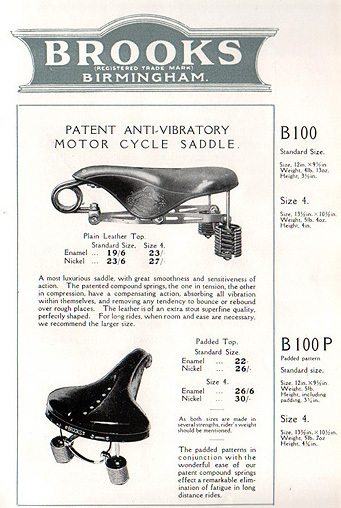 The B100 saddle fitted to mine had, by 1906, been replaced with a B32 or B90. 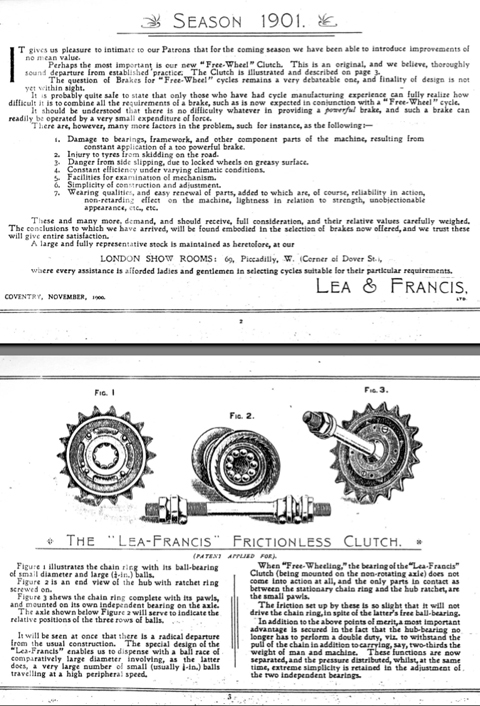 Mine has a Sturmey Archer 3-speed; Lea Francis fitted their own 2-speed patent (Griffin) gear, though, according to the 1911 catalogue, they offered the Sturmey Archer as an option. 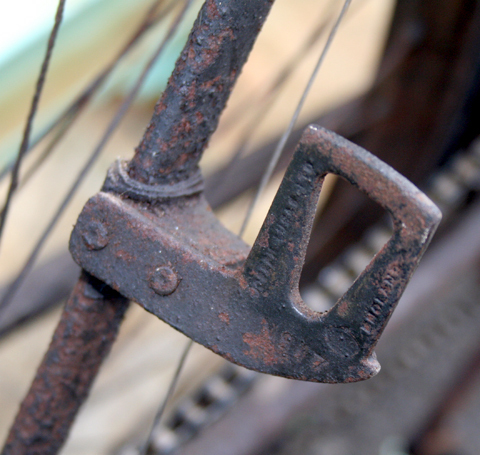 Not everyone is familiar with the large bicycles of this era. 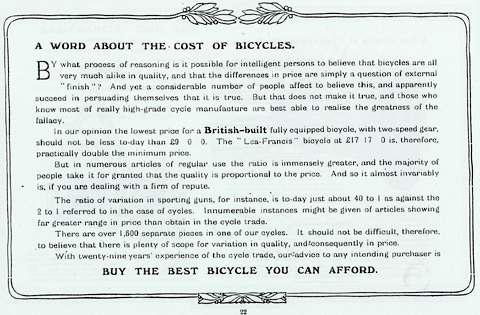 Cycling at this time was still the preserve of the rich: new bicycles were not factory mass-produced yet; they only became cheap enough for the transport requirements of the entire population in the twenties. 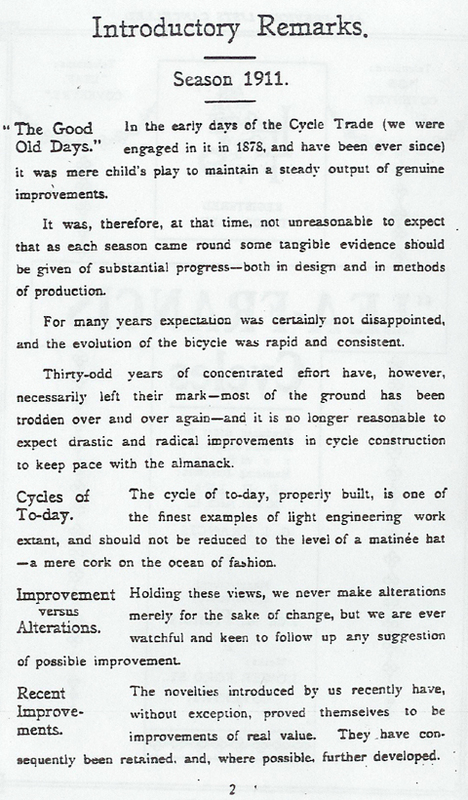 At the turn of the century, cycling was still mainly a male pastime. Society was still getting used to the idea of women being so independent that they had their own transport. 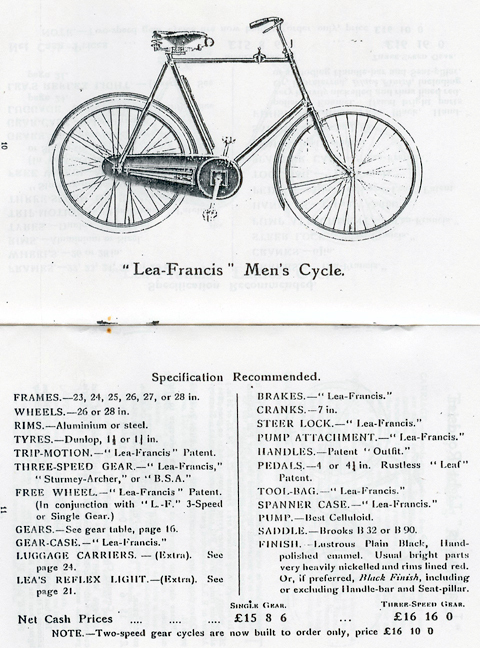 Bicycles had large frames and, unless you were over 6′ tall, it was not easy to get onto them! 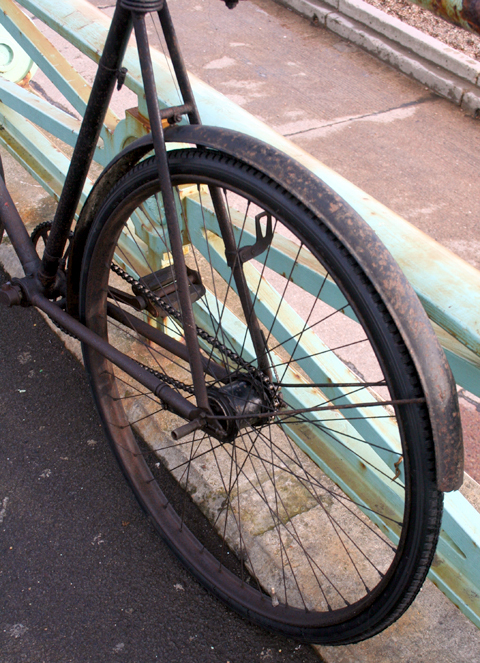 So a large bike would traditionally be fitted with a step at the rear axle. (See below). But, having used the rear step with your left foot to project yourself onto the saddle, you’d still need to locate the pedal with your right foot, and the bike (and rider) is often unsteady during this slightly complex manoeuvre. 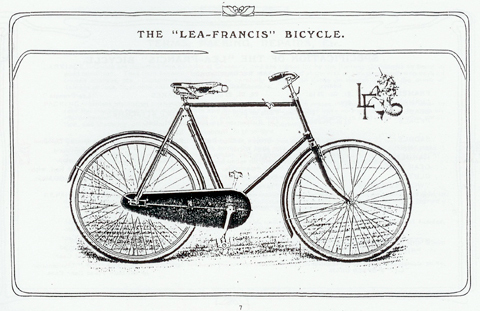 (This bicycle is too early to be fitted with the trip motion). 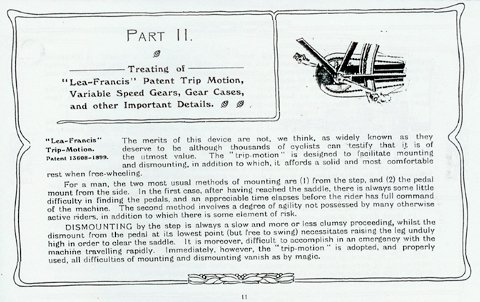 The ‘trip motion’ concept that Lea & Francis patented, mentioned below in this 1907 catalogue, means that when the bicycle is at a standstill, instead of the pedal swinging freely to its bottom position it swings only a matter of inches before stopping. 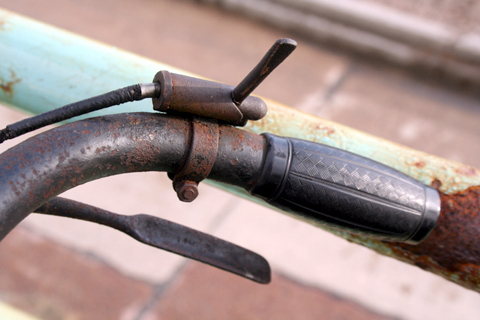 You can therefore use the left pedal as a step to swing your other leg over the crossbar to mount the bike. 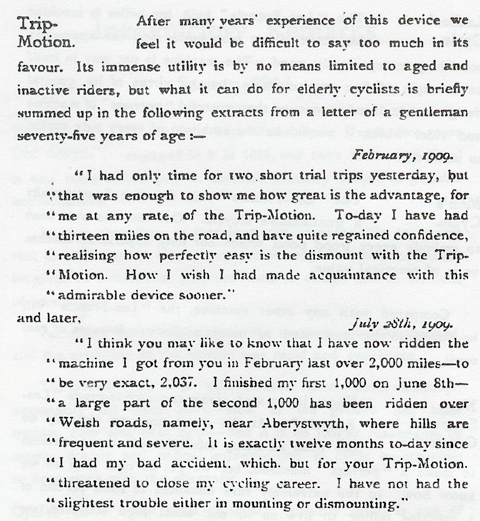 Under disadvantageous conditions, eg when dark; on greasy roads or streets; in congested traffic; when mounting on an up-grade; and when the rider is fatigued – the ‘trip motion’ proves invaluable, and imparts full confidence to the rider at times when, without the ‘trip,’ there would be good reason for some degree of uneasiness. The methods of using the ‘trip-motion’ are, we should have thought, fairly obvious to the great majority of riders, but we have known of a number of instances in which the riders have failed to realize, and take advantage of, the full benefits obtainable. 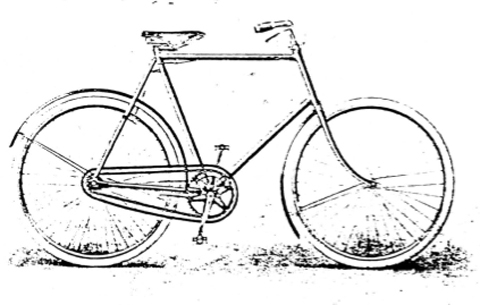 MOUNTING – The most advantageous method of mounting (for a man) is to stand astride the back wheel precisely as if one wre about to mount by the step – then use the left pedal exactly as a step. 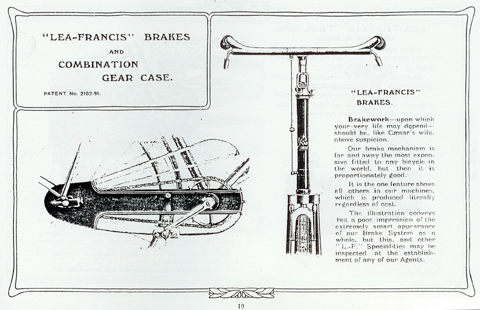 It will be seen at once that the very great advantage is secured, of having located the pedals BEFORE MOUNTING, and further, having reached the saddle, the right pedal will always be found in the best position for propelling the machine. These two factors mean the reduction to a minimum of the time which elapses between the moment when the rider leaves the ground and when he obtains full control of his cycle. 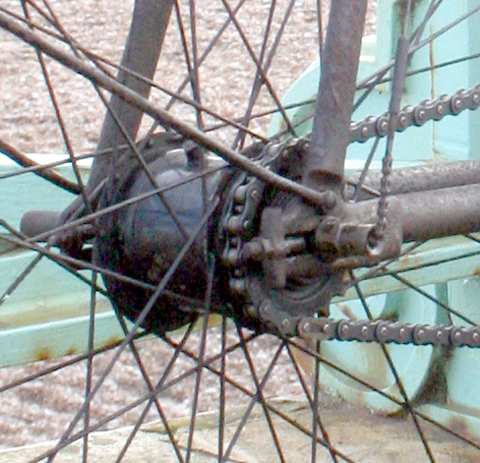 DISMOUNTING – This act is rendered supremely easy by the ‘trip-motion’ because, compared with the pedal at lowest point, the foot is raised some 4 or 5 inches, and brought backwards about 6 inches, so that there is no difficulty whatever in clearing the saddle; moreover, the pedal is stationary and solid, thus eliminating all risk of slipping. 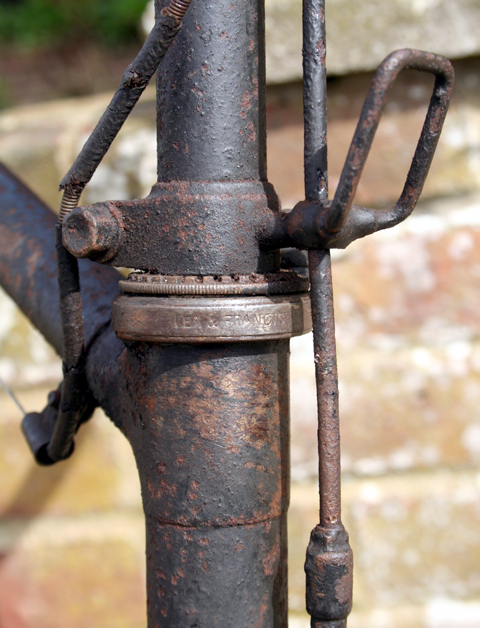 In these days of almost universal variable speed gears, it is of the first importance that the rear axle should not be strained or bent in mounting or dismounting by the step, and it is hardly necessary to point out that with the ‘trip-motion’ NO STEP ON THE AXLE IS NECESSARY OR REQUIRED. 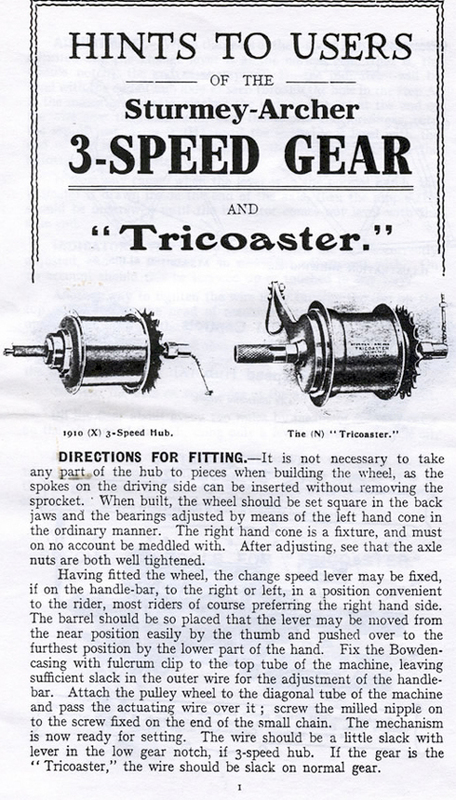 AS A REST WHEN FREE-WHEELING – Apart from the advantages enumerated above, the ‘trip’ will be found of very real use when free-wheeling, obviating as it does, the necessity for maintaining an even balance on the pedals. It is also much appreciated by ladies, in that it enables them to easily rise from the saddle and readily arrange their skirts. I have to say that, having tried mounting from both the rear step and the left pedal, I find the rear step much easier. 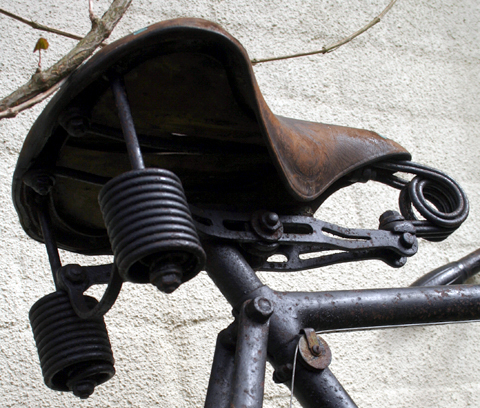 At my height (5′ 8″) and leg length (32″), the saddle is too large to easily swing my leg over it with my foot on the pedal. 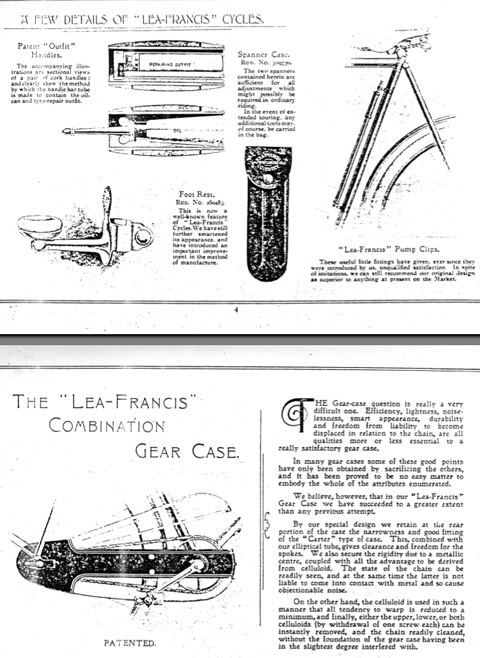 But I can see that someone with longer legs would find it much easier to subscribe to the ‘trip-motion’ method of mounting a Lea Francis Gents Roadster.